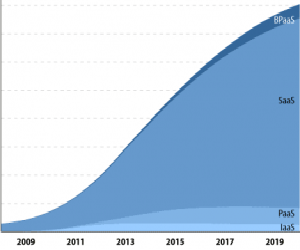 Let me read between the lines of Gartner Hype-Cycle for Cloud Computing – 2012. According to my reading this is what Gartner really wants to say. I agree with 4 of them, am doubtful about one and disagree with one. Gartner has stated these points using a different language. I am being more direct. Cloud Computing has started going down the “trough of disillusionment”! After hovering in the “peak of inflated expectation” for last 3 years, cloud computing has started down the “trough of disillusionment”! For the uninitiated, it is difficult to distinguish between what a real cloud offering is and what only has a label of cloud offering – an old wine in a new bottle. If you start looking at cloud are try to figure out where I can use it or you want to use cloud to reduce cost then your chances of success is less. Instead, if you start from a business problem where can solve it more efficiently, your chances of success would be much higher. On the other hand there are 24 items listed under “2 to 5 years to mainstream”. Platform as a service is over hyped. There is a large gap between what is on offer and what enterprise customer expects. 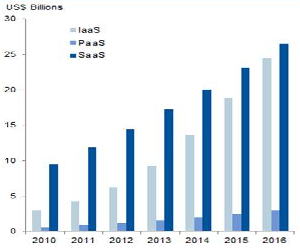 According to Gartner by 2016, IaaS and SaaS will have a market of similar size. On the other hand, Forrester had predicted that SaaS will about 80% of total cloud market share. Big Data will deliver transformational benefits to enterprises within 2 to 5 years, and by 2015 will enable enterprises adopting this technology to outperform competitors by 20% in every available financial metric. I still think “Big Data” is a solution is search of a problem. We tend to assume that since there is so much data available there must be an underlying pattern and big data would help us uncover those patterns. Moment you measure something you have changed it. I’m not sure if the IaaS numbers will be as good as Gartner predicts, but Forrester’s definitely look way too pessimistic to me.